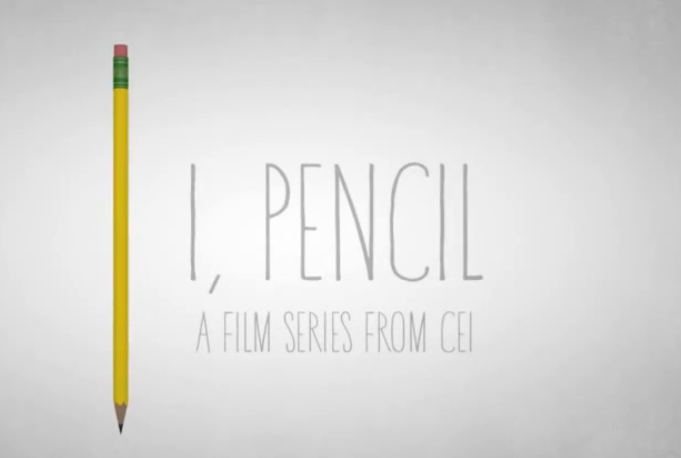 CEI Podcast for November 12, 2013: CEI’s “I, Pencil” Film Wins Award | Inertia Wins! CEI’s short film “I,Pencil,” based on Leonard Read’s 1958 essay, won the first annual Reason Video Prize on November 6. The prize honors short-form films on individual rights, limited government and the free market. Nicole Ciandella wrote the adapted screenplay for the film. This entry was posted in CEI Podcast, Economics, The Market Process. Bookmark the permalink.